The Mattamy Athletic Centre is a smoke-free building. Electronic cigarettes are also prohibited. Found items can be turned in to the Front Desk at the fitness centre on the 2nd floor. 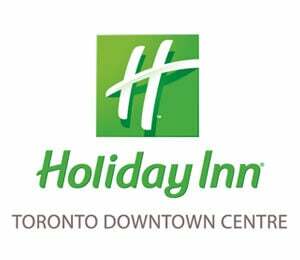 Please call the Front Desk at 416-979-5000 ext. 5339 to inquire about your lost item. In addition to the list below, prohibited items include anything facility management deems as unsafe, hazardous, or disruptive. No alcohol may be brought in or out of the building. When purchasing alcohol, you may be required to show ID. Any guest causing a disturbance may be asked to leave by facility management, security, or staff without a refund. By participating in and/or attending events/activities at the Mattamy Athletic Centre, Ryerson University will assume you have provided consent for your image/voice to be collected, used and reproduced by Ryerson University, its employees, or agents. All audio recordings, video recording, digital recordings, negatives and/or slides together with any prints shall constitute the property of Ryerson University solely and completely. In accordance with Section 39(2) of the Freedom of Information and Protection of Privacy Act (1990), personal information including images and recordings in connection with events are collected under the authority of the Ryerson University Act (1977) and will be used for promoting publicizing or explaining Ryerson University and its activities and for administrative, educational or research purposes. Personal information may be disclosed to outside service providers for processing and production. Helmets must be worn by all whenever there is a stick or puck on the ice. Helmets must be worn by all if wearing shoes on the ice. Full gear must be worn during hockey rentals. No alcohol is permitted in the dressing rooms at any time. Staff are present for the wellbeing of all patrons. Please ask staff for assistance if needed. For any questions regarding our monthly community skates, please call 416-598-5960.